In: FUAM Sandwich Programmes/Courses Available 2016/2017 !!! FUAM Sandwich Programmes/Courses Available 2016/2017 !!! 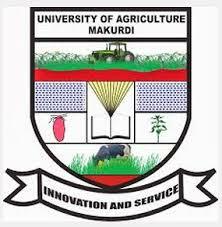 Applications are invited by the management for the Federal University of Agriculture, Makurdi Sandwich programme for the 2017 Contact Session. Below is the details of the programme and how to apply. Applicants of the FUAM Sandwich Programme for 2017 are required to submit four (4) copies of the completed form to Academic Office with their academic credentials attached.